+ Pharaoh’s refusal – And the Lord did just as he had said. The next morning all the livestock of the Egyptians died, but the Israelites didn’t lose a single animal. Pharaoh sent his officials to investigate, and they discovered that the Israelites had not lost a single animal! But even so, Pharaoh’s heart remained stubborn, and he still refused to let the people go. + Pharaoh’s refusal – So they took soot from a brick kiln and went and stood before Pharaoh. As Pharaoh watched, Moses threw the soot into the air, and boils broke out on people and animals alike. Even the magicians were unable to stand before Moses, because the boils had broken out on them and all the Egyptians. But the Lord hardened Pharaoh’s heart, and just as the Lord had predicted to Moses, Pharaoh refused to listen. + Fear throughout Egypt – Some of Pharaoh’s officials were afraid because of what the Lord had said. They quickly brought their servants and livestock in from the fields. 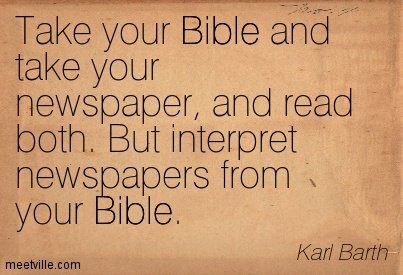 But those who paid no attention to the word of the Lord left theirs out in the open. + Goshen spared – So Moses lifted his staff toward the sky, and the Lord sent thunder and hail, and lightning flashed toward the earth. The Lord sent a tremendous hailstorm against all the land of Egypt. Never in all the history of Egypt had there been a storm like that, with such devastating hail and continuous lightning. It left all of Egypt in ruins. The hail struck down everything in the open field—people, animals, and plants alike. Even the trees were destroyed. The only place without hail was the region of Goshen, where the people of Israel lived. + Pharaoh’s refusal – So Moses left Pharaoh’s court and went out of the city. When he lifted his hands to the Lord, the thunder and hail stopped, and the downpour ceased. But when Pharaoh saw that the rain, hail, and thunder had stopped, he and his officials sinned again, and Pharaoh again became stubborn. Because his heart was hard, Pharaoh refused to let the people leave, just as the Lord had predicted through Moses. + Signs and wonders – So Moses and Aaron went to Pharaoh and said, “This is what the Lord, the God of the Hebrews, says: How long will you refuse to submit to me? Let my people go, so they can worship me. If you refuse, watch out! For tomorrow I will bring a swarm of locusts on your country. They will cover the land so that you won’t be able to see the ground. They will devour what little is left of your crops after the hailstorm, including all the trees growing in the fields. They will overrun your palaces and the homes of your officials and all the houses in Egypt. Never in the history of Egypt have your ancestors seen a plague like this one!” And with that, Moses turned and left Pharaoh. + Pharaoh’s rejection – Pharaoh retorted, “The Lord will certainly need to be with you if I let you take your little ones! I can see through your evil plan. Never! Only the men may go and worship the Lord, since that is what you requested.” And Pharaoh threw them out of the palace. So Moses raised his staff over Egypt, and the Lord caused an east wind to blow over the land all that day and through the night. When morning arrived, the east wind had brought the locusts. And the locusts swarmed over the whole land of Egypt, settling in dense swarms from one end of the country to the other. It was the worst locust plague in Egyptian history, and there has never been another one like it. For the locusts covered the whole country and darkened the land. They devoured every plant in the fields and all the fruit on the trees that had survived the hailstorm. Not a single leaf was left on the trees and plants throughout the land of Egypt. + Pharaoh’s refusal – So Moses left Pharaoh’s court and pleaded with the Lord. The Lord responded by shifting the wind, and the strong west wind blew the locusts into the Red Sea. 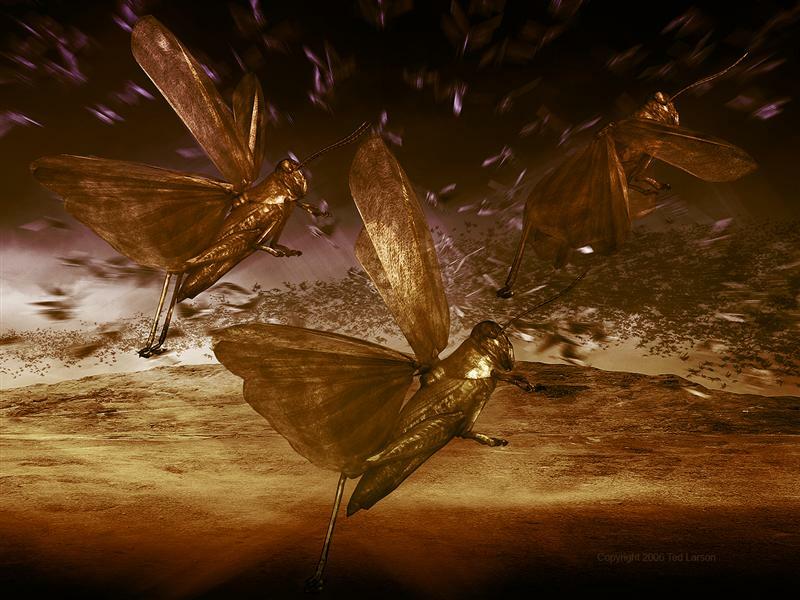 Not a single locust remained in all the land of Egypt. But the Lord hardened Pharaoh’s heart again, so he refused to let the people go. + Signs and wonders – Then the Lord said to Moses, “Lift your hand toward heaven, and the land of Egypt will be covered with a darkness so thick you can feel it.” So Moses lifted his hand to the sky, and a deep darkness covered the entire land of Egypt for three days. During all that time the people could not see each other, and no one moved. But there was light as usual where the people of Israel lived. + Signs and wonders – Moses had announced to Pharaoh, “This is what the Lord says: At midnight tonight I will pass through the heart of Egypt. All the firstborn sons will die in every family in Egypt, from the oldest son of Pharaoh, who sits on his throne, to the oldest son of his lowliest servant girl who grinds the flour. Even the firstborn of all the livestock will die. 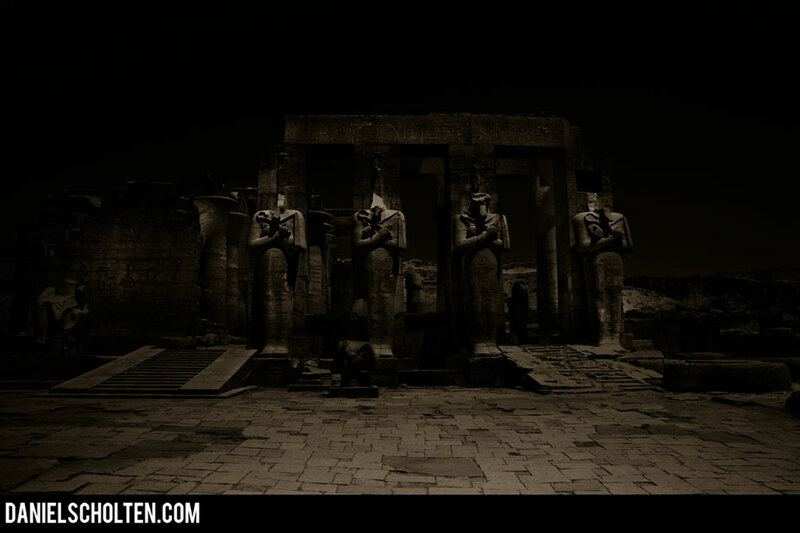 Then a loud wail will rise throughout the land of Egypt, a wail like no one has heard before or will ever hear again. But among the Israelites it will be so peaceful that not even a dog will bark. Then you will know that the Lord makes a distinction between the Egyptians and the Israelites. All the officials of Egypt will run to me and fall to the ground before me. ‘Please leave!’ they will beg. ‘Hurry! And take all your followers with you.’ Only then will I go!” Then, burning with anger, Moses left Pharaoh. + Pharaoh’s refusal – Now the Lord had told Moses earlier, “Pharaoh will not listen to you, but then I will do even more mighty miracles in the land of Egypt.” Moses and Aaron performed these miracles in Pharaoh’s presence, but the Lord hardened Pharaoh’s heart, and he wouldn’t let the Israelites leave the country. + Select a sacrifice – While the Israelites were still in the land of Egypt, the Lord gave the following instructions to Moses and Aaron: “From now on, this month will be the first month of the year for you. Announce to the whole community of Israel that on the tenth day of this month each family must choose a lamb or a young goat for a sacrifice, one animal for each household. If a family is too small to eat a whole animal, let them share with another family in the neighborhood. Divide the animal according to the size of each family and how much they can eat. The animal you select must be a one-year-old male, either a sheep or a goat, with no defects. + Smear the blood – “Take special care of this chosen animal until the evening of the fourteenth day of this first month. Then the whole assembly of the community of Israel must slaughter their lamb or young goat at twilight. They are to take some of the blood and smear it on the sides and top of the doorframes of the houses where they eat the animal. That same night they must roast the meat over a fire and eat it along with bitter salad greens and bread made without yeast. Do not eat any of the meat raw or boiled in water. The whole animal—including the head, legs, and internal organs—must be roasted over a fire. Do not leave any of it until the next morning. Burn whatever is not eaten before morning. 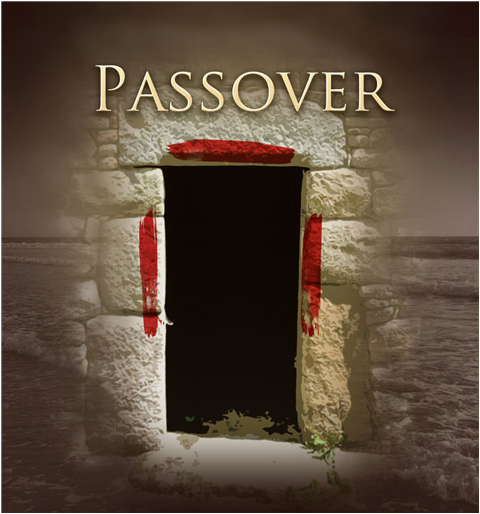 + The Lord’s Passover – “These are your instructions for eating this meal: Be fully dressed, wear your sandals, and carry your walking stick in your hand. Eat the meal with urgency, for this is the Lord’s Passover. On that night I will pass through the land of Egypt and strike down every firstborn son and firstborn male animal in the land of Egypt. I will execute judgment against all the gods of Egypt, for I am the Lord! But the blood on your doorposts will serve as a sign, marking the houses where you are staying. When I see the blood, I will pass over you. This plague of death will not touch you when I strike the land of Egypt. + Day of remembrance – “This is a day to remember. Each year, from generation to generation, you must celebrate it as a special festival to the Lord. This is a law for all time. For seven days the bread you eat must be made without yeast. On the first day of the festival, remove every trace of yeast from your homes. Anyone who eats bread made with yeast during the seven days of the festival will be cut off from the community of Israel. On the first day of the festival and again on the seventh day, all the people must observe an official day for holy assembly. No work of any kind may be done on these days except in the preparation of food. Then Moses called all the elders of Israel together and said to them, “Go, pick out a lamb or young goat for each of your families, and slaughter the Passover animal. Drain the blood into a basin. Then take a bundle of hyssop branches and dip it into the blood. Brush the hyssop across the top and sides of the doorframes of your houses. And no one may go out through the door until morning. For the Lord will pass through the land to strike down the Egyptians. But when he sees the blood on the top and sides of the doorframe, the Lord will pass over your home. He will not permit his death angel to enter your house and strike you down. + Israelites obey – “Remember, these instructions are a permanent law that you and your descendants must observe forever. When you enter the land the Lord has promised to give you, you will continue to observe this ceremony. Then your children will ask, ‘What does this ceremony mean?’ And you will reply, ‘It is the Passover sacrifice to the Lord, for he passed over the houses of the Israelites in Egypt. And though he struck the Egyptians, he spared our families.’” When Moses had finished speaking, all the people bowed down to the ground and worshiped. + Egyptian firstborn sons die – So the people of Israel did just as the Lord had commanded through Moses and Aaron. And that night at midnight, the Lord struck down all the firstborn sons in the land of Egypt, from the firstborn son of Pharaoh, who sat on his throne, to the firstborn son of the prisoner in the dungeon. Even the firstborn of their livestock were killed. Pharaoh and all his officials and all the people of Egypt woke up during the night, and loud wailing was heard throughout the land of Egypt. There was not a single house where someone had not died. + Israelites leave with wealth – The Israelites took their bread dough before yeast was added. They wrapped their kneading boards in their cloaks and carried them on their shoulders. And the people of Israel did as Moses had instructed; they asked the Egyptians for clothing and articles of silver and gold. The Lord caused the Egyptians to look favorably on the Israelites, and they gave the Israelites whatever they asked for. So they stripped the Egyptians of their wealth! + Israelites leave without food – That night the people of Israel left Rameses and started for Succoth. There were about 600,000 men, plus all the women and children. A rabble of non-Israelites went with them, along with great flocks and herds of livestock. For bread they baked flat cakes from the dough without yeast they had brought from Egypt. It was made without yeast because the people were driven out of Egypt in such a hurry that they had no time to prepare the bread or other food. + A night to remember – The people of Israel had lived in Egypt for 430 years. In fact, it was on the last day of the 430th year that all the Lord’s forces left the land. On this night the Lord kept his promise to bring his people out of the land of Egypt. So this night belongs to him, and it must be commemorated every year by all the Israelites, from generation to generation. + Exclusive to Israel – Then the Lord said to Moses and Aaron, “These are the instructions for the festival of Passover. No outsiders are allowed to eat the Passover meal. But any slave who has been purchased may eat it if he has been circumcised. Temporary residents and hired servants may not eat it. 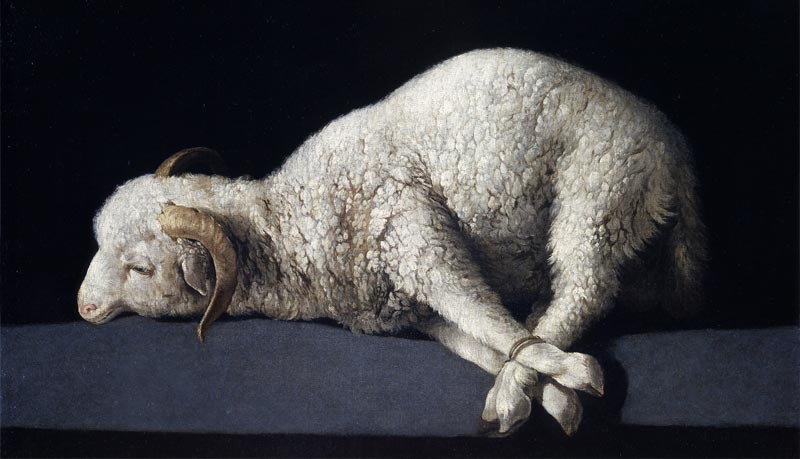 Each Passover lamb must be eaten in one house. Do not carry any of its meat outside, and do not break any of its bones. The whole community of Israel must celebrate this Passover festival. + The exodus begins – So all the people of Israel followed all the Lord’s commands to Moses and Aaron. On that very day the Lord brought the people of Israel out of the land of Egypt like an army.